PUSH.com.ph lists down the celebrity babies who were born this year. Before 2017 starts, PUSH.com.ph lists down the celebrity babies who were born this year. Actress Judy Ann Santos gave birth to her and host Ryan Agoncillo’s third child, Luna last January. Actress Isabel Oli gave birth to baby Lily Feather on April 18. She and husband John Prats made her an Instagram accouint where they share her activities and milestones. Singer Jovit Baldivino’s girlfriend Shara Chavez gave birth to their first-born named Akeya last July. Actress Chynna Ortaleza and vocalist Kean Cipriano welcomed their baby Stellar early this year. The two have been vocal about wanting to keep their baby’s life private. Actress Toni Gonzaga gave birth to her and director Paul Soriano’s first son Severiano Elliot last September 30. 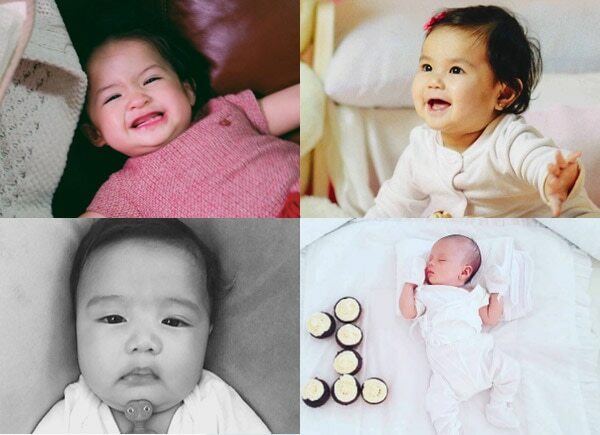 Last November 15, host Mariel Rodriguez gave birth to her and husband Robin Padilla’s daughter named Isabella. Rumors have it that model-host Georgina Wilson already gave birth to her and husband Arthur Burnand’s son early this month after Georgina’s brother Sam posted a photo of their family in a hospital room. READ: Has Georgina Wilson given birth? Parokya ni Edgar's front man Chito Miranda and actress Neri Naig welcomed their firstborn son Alfonso last November. Last August 30, TV personality Iya Villania gave birth to her and husband Drew Arellano's baby boy named Antonio Primo. Last January, beauty queen Shamcey Supsup and husband Lloyd Lee welcomed their baby girl Nyke. Actress Cai Cortez and husband Wissem Rkhami gave birth to a baby boy last December 22.